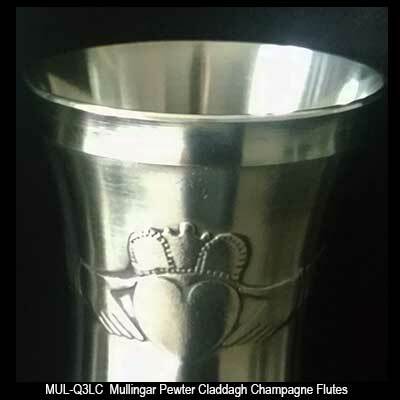 Claddagh flutes feature pewter construction and are ideal as wedding glasses or for champagne toasting at any Irish celebration. 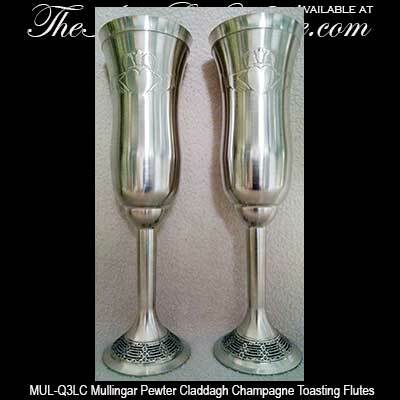 These Claddagh champagne flutes are made of solid lead free pewter. The Irish wedding glasses are perfect as toasting flutes for any celebration. The 8" tall Claddagh wedding glasses are made in Ireland by Mullingar Pewter and are gift boxed with a Claddagh history card, complements of The Irish Gift House. 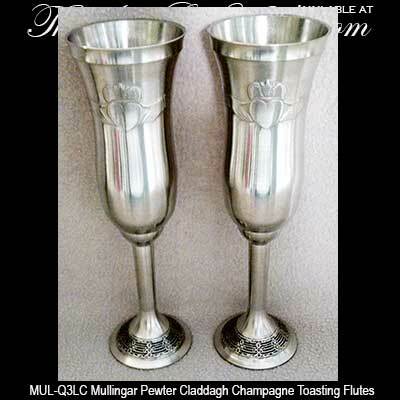 These pewter Claddagh champagne flutes are ideal as toasting glasses for an Irish wedding.